People suffering from chronic pain with valid prescriptions issued by reputable physicians are being turned away by pharmacies that are refusing to fill their pain medication prescriptions. Why is this happening and who is responsible? An in-depth probe aptly named “State of Pain” by Orlando television WESH 2 has reportedly gathered thousands of stories of prescription medication denials, where real people describe themselves as being left in pain and feeling judged, humiliated, betrayed, appalled and “MAD AS HELL”. The WESH 2 probe has shed light on the magnitude of the problem and has received the attention of the Florida Board of Pharmacy – the state agency responsible for regulating Florida’s pharmacists. An atmosphere of finger pointing has dominated discussions of the prescription refusal issue. The governor, the attorney general and pharmacists statewide have attempted to place the blame for the problem on Drug Enforcement Administration (“DEA”) regulations and pain medication quotas that have created pill shortages. 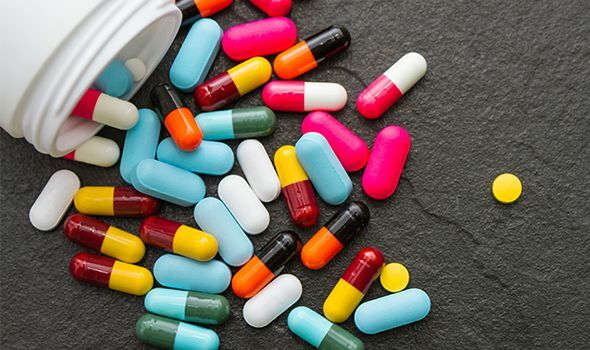 An additional complication, previously highlighted in our Heintz & Becker Blogs, which added tighter controls on certain pain medications, is the DEA’s reclassification of Hydrocodone Combination Products (“HCPs”) from Schedule III Drugs to Schedule II Drugs in 2014. However, the DEA has refused to accept the blame and says that pharmacists who refuse to fill real prescriptions are not doing their jobs and that problems concerning the actions of individual pharmacists are the responsibility of the state’s board of pharmacy to manage. Indeed, Florida’s Board of Pharmacy and itsControlled Substances Standards Committee may be taking action. Five members of the Board of Pharmacy will meet in Orlando on June 9, 2015 to look at the issue from the perspective of patients, doctors, pharmacists and suppliers. The agenda and meeting materials, which include numerous emails containing personal patient testimonials, including the one quoted above, are available in the“Public Book” posted online. Heintz & Becker is posting this information to further publicize the existence of this problem and to give credit to WESH 2 Orlando for its valuable investigation. We will continue to publish news on this and other topics of interest to people who suffer from chronic pain and invite you to check our website regularly for updated information. If you or a member of your family suffers from chronic pain due to an accident caused by the negligence of someone else, please contact one of our attorneys for a free, no-obligation evaluation of your claim for financial compensation.